I recently answered the following question. “I’m trying to send some digital camera videos via e-mail. They are around 100MB each, much too large for e-mail! Does anyone know how to compress a video? 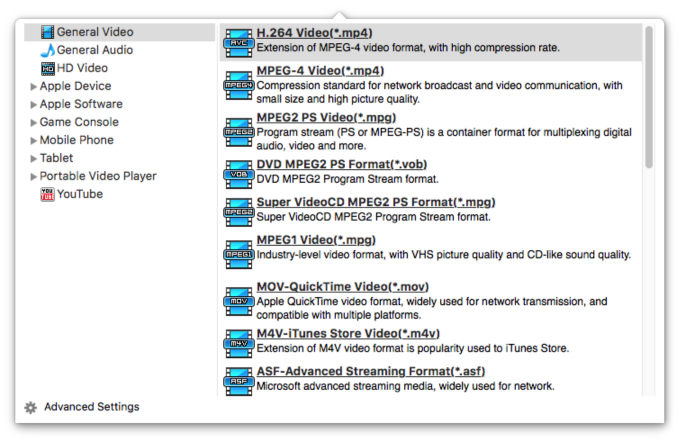 Which software should I use?” Today’s tip will show you how to compress video for email on Mac. Previously, we have mentioned several software programs for video editing, compression and conversion. One thing that we didn’t touch on was video compression. Actually, two ways are provided for you to compress video for email or for other purposes. 1. Choose to convert a video format to another one with smaller size. For instance, if you want to compress video for uploading to YouTube or emailing, and the camercoder video available is too large, you can convert MOD/MTS to FLV/MPEG format with smaller size. Generally speaking, video formats like FLV, RMVB, MP4, 3GP are with smaller size. 2. Remain original video format but reset video parameters including Video Size (Resolution), Frame Rate and Aspect Ratio to shrink video size. To change video resolution, it is suggested not to exceed the source video resolution so as to guarantee image quality. While there are plenty of video editing software out there (both free and paid), not all of them support video compression. Microsoft’s Windows Movie Maker is one of those without the video resizing feature. In addition, for those video editors that come with video resizing feature, it is always embedded deep in the settings and is not available in the front end. Here iFunia Video Converter is highly recommended for you to compress video for email via the above two methods on Mac. Free Download iFunia Video Converter for Mac and install it. Drag and drop your files directly to the software’s interface. Batch compression is supported, so you are able to compress several files at one time. Option 1 Convert video to another format with smaller size. In this case, you can click the edit icon to open the Output Format window. 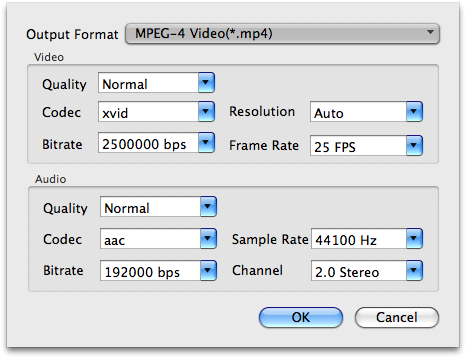 Click the General Video option and select “MPEG 4” as the output format. Option 2 Keep the file format and click on the Advanced Settings button to set output video and audio parameters. As you see you can lower down the Video to change resolution, lower down Frame Rate to shrink video size, so that file size reducing task can be done. Confirm your changes by clicking on the “OK” button. When everything is OK, click “Start” to export video to the specified folder. This is how you can compress video for email on your Mac. It’s easy and convenient. In addition to video compression, the iFunia Mac video converter also has other powerful features such as converting videos and audios between more than 400 formats, ripping and burning DVD, downloading video and audio from YouTube and 1000+ other websites, etc. Thanks Amy. The Video Converter app is what I was looking for. I do have a PC laptop, but I prefer the Mac OS now that I’ve grown accustomed to using it. You can’t resize video on any platform without re-encoding.